October 2016 - Blue Rock Construction, Inc. 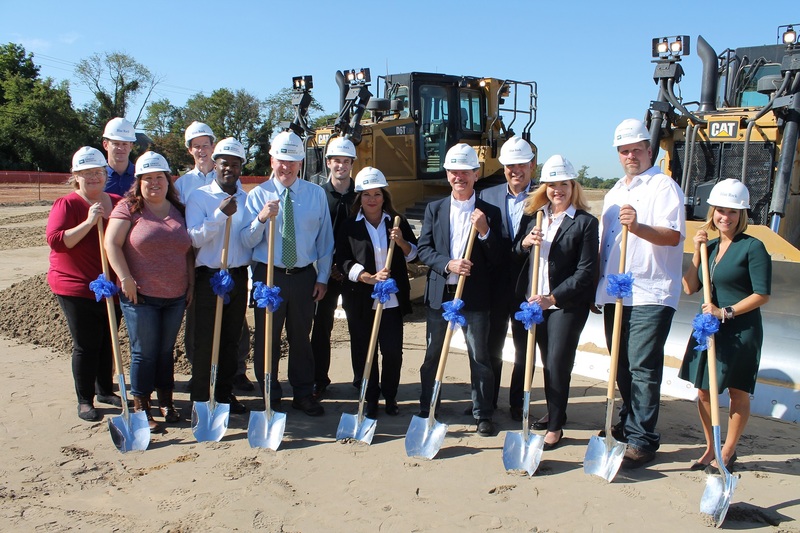 Representatives from Blue Rock, Dermody Properties and Greenyard Logistics USA celebrate the groundbreaking of a 152,200 SF packing and cold storage facility in southern New Jersey. 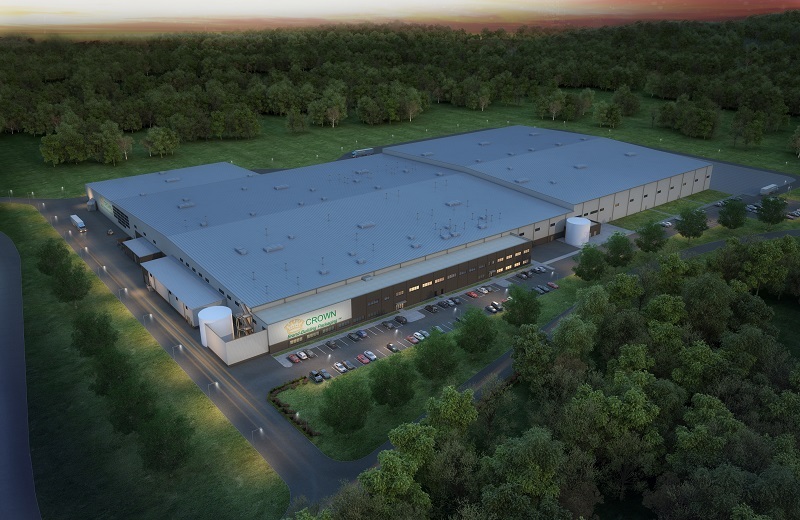 Representatives from Blue Rock Construction, Dermody Properites and Greenyard recently celebrated the groundbreaking of the international produce leader’s new 152,200-square-foot facility in southern New Jersey. The state-of-the-art packing and cold storage facility is located in LogistiCenter at Logan, a 5.5 million-square-foot industrial park in Logan Township owned by Dermody Properties and Great Point Investors LLC. The new facility marks the first expansion of the Fresh division of Greenyard in the United States. Currently operating as UNIVEG Logistics America (ULA), the company’s name will change to Greenyard Logistics USA Inc. upon completion of the new facility. The new packing and cold storage facility will quadruple the company’s current capacity. The Crown Cork and Seal USA facility in Nichols, NY, will be the company’s biggest complex in the world. Blue Rock is calling in for air support at the new Crown Cork and Seal USA manufacturing and warehouse facility in Nichols, NY. On Saturday, Oct. 8, a helicopter will hover over the 525,000-square-foot project site to help deliver mechanical components for the building’s heating, ventilation, and air conditioning units. According to the Morning Times, the local newspaper that covers Tioga County, Tom Johnson, project manager for Crown Cork and Seal, presented the helicopter plan to members of the Nichols Town Board last month. “Because the building is so expansive, the only way we can do it is by helicopter,” said Johnson, project manager for Crown Cork and Seal USA. The air lift begins at 9 a.m. with a safety check, followed by the helicopter moving equipment to the rooftop. There will be a total of 44 lifts, including 11 heaters each weighing 2,650 pounds. “It should not take more than four hours to complete,” said Johnson. Blue Rock representatives also met with the town’s code enforcement officer and fire chief to review procedures for the helicopter lift. Scheduled to be operational in the first quarter of 2017, the new facility represents a $132.8 million investment for the Fortune 500 company, according to the Morning Times. Johnson also told the newspaper that the new facility will be the biggest complex that Crown Cork has constructed in the world and will produce 7,000 cans per minute once it’s fully operational. Headquartered in Philadelphia, PA, Crown Holdings, Inc. is a leading manufacturer of packaging products for consumer marketing companies around the world. Crown makes a wide range of metal packaging for food, beverage, household and personal care and industrial products and metal vacuum closures and caps. As of December 31, 2014, the Company operated 149 plants located in 40 countries, employing 23,024 people. For more information, visit www.crowncork.com.